Excellent article. Osho was very wise. Krishnamurti didn’t mean “enlightenment” at all with this statement. Osho didn’t understand. He meant that the one who is observing can realize that he is not observing something outside of him, but he is actually what is being observed. What usually happens is that the observation is fictional, because you separate yourself from everything which arises. When you say to yourself: “I’ll start observing everything right now” , you failed to see that there is the intention to observe. But when one realises that the observer is actually observed, than the observetion is already taking place and there is nothing outside of it, so “I’ll start observing everything right now” is also observed. If such observation is taking place, there is no importance in doing, not doing, allowing something or not allowing…because the intention to accept or reject is being observed too, etc….In such observation, the conflict ceases naturally. But it doesn’t mean that the mind is quiet. Instead one is learning about oneself through everything which arises, through the little game one plays, like “I will observe now to make my mind quiet”. Both Krishnamurti and Osho hinting towards same entity. Krishnamurti says : When Observer has no image at all then the Observer is the observed “What is” is the observer not the observer is looking at “What is” . Thanks for your precious comment. I have been lost in those two truth, one is looking into the mirror. Now previously I suppose, ‘what is’ is the mirror. But it’s actually opposite! In my opinion J Krishnamurti used this expression when he saw the truth at a very subtle level. Not the apparent truth but the ultimate reality of the physical and sensual world. The truth that nothing is permanent but ephemeral. Everything just arises and passes away. In fact he saw that mind and body are of the same phenomena. Impermanence is the ultimate reality. So why to have clinging, attachment at all ? He realized the truth at experiential level and not merely philosophically. That’s reason he said that the observer is the observed. both are talking about witnessing consciousness not consciousness itself. Osho’s opinion on JK appears to be not correct since the emphasis on the observer is nothing but observing the innermost activity of the mind then eventually dilute the “I”. When “I” is diluted there nothing remains but only the observer. JK is one of the greatest philosophers and his teachings cannot be undermined by unjustified wrong interpretation of his words. How would you describe the difference between the teachings? witnessing but no witness. consciousness arising in awareness. The observer becomes the observed is actually a very simple statement. Have you ever felt someone staring at you? This is simply you the observed noticing the observer. By you noticing them they become the observed. The true female just wants to be the observed. The ultimate man is the observer. His best gift he can give is observation. So the ultimate man would stare at his female. Just observing the observed completely. This is the best gift and reaction she could want. But you aren’t worried in this, rather you are consumed in your desire to observe her. Too see this marvelous beauty for who she is. She in turn wants to see if she is being observed. So she stares back at the observer. At this point she is now the observed and observer. And too the observer is now observed in this this glorious moment. Such is how this statement is intellectually known. u can only see anything by involving yourself. that is why observer is the observed. the scene depends on our measurement, our observation. Reality is something else- its the possibility! the observer shrinks it by observing hence observer is the observed. when there is no observation, there’s no scene. Let me put this very simply, You see a flower, say a rose, and when you see it, you instantly recognize and name it “This is a rose, and I am looking at the Rose”. This is a function of memory. Memory is of the past. And if you can’t see the thing without depending on the past memory then “The observer is the observed”. Because when the total observation is going on, there is no division between the observer and the observed. There is no “I” there who is observing, there is only observation going on. This division comes later only as a function of memory. But if there is the division between the observer and the observed while the process of observation is ongoing, then the observer is nothing but the past (memory) who is observing. I love Osho, but it appears that he didn’t understand the immensity of this statement by J. Krishnamurti. 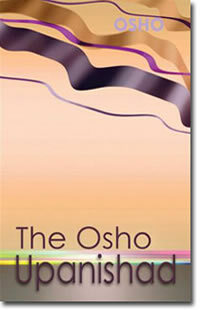 Do you really love Osho. The love appears to be skin deep. Else this comment would not have blossomed. What? I don’t understand any of this. If you observe an entity which you know to be a flower (after having observed it), and then you say, “This is a flower,” yes, you are relying on your conception of a flower, hence your ability to categorize it–but that doesn’t mean you didn’t use your sense perception to observe it. What happened was your eyes perceived the object and then your mind quickly categorized the object as a “flower” based upon previous observations. What about first observations before concepts? Are all babies then primary observers? If you aren’t observing, what exactly are you doing? You can be aware of something, but I think there’s a distinction between awareness and observation; namely, one of categorization. Observation seems to presuppose higher level thinking/conceptualization to some degree. So I am utterly loss in this “observe” discussion, or the whole “the observer becomes the observed.” Perhaps you can further elucidate. WordPress has no option to delete or edit a comment, otherwise I would have done it the day after I made that comment. In the comment I was being too analytical, and somewhat wrong. Whereas it is, in fact a very simple phenomenon. The idea is that an observer (as a separate entity), separate from what is observed, doesn’t exist. If there is nothing ‘observed’, there is no ‘observed’. In actuality, it is on unitary process called ‘observing or observation’. Which if you insist, has two poles, namely the observer and the observed. The idea is that an observer (as an entity), separate from what is observed, doesn’t exist. If there is nothing ‘observed’, there is no ‘observer’. In actuality, it is on unitary process called ‘observing or observation’. Which if you insist, has two poles, namely the observer and the observed. I feel that people have not understood Rajneesh intention in explaining JK sutra. He is not giving the meaning. What JK meant is only known to him. What Rajneesh is driving towards is how we can to the point of reaching the witnessing conscious so that you can come to the point of observing your self. Observation is double edged. What’s is being observed is one vector and the second vector faces the person observing . We focus always on the first or on the second vectors. Try and focus on both at the same time. That is the master key. Going outwards is easy. Reversing and going is also easy. Balancing both is tricky. Then u are in the middle. When the “observer” is “observing,” the observer disappears while observing starts to disappear too, because you cannot have one without the other; because it is like a death, which is scary. It’s a cliff. Osho isn’t correct in his interpretation of Krishnamurti’s teaching as one of witnessing, which is because the witness is still another thought. What JK teaches, as it appears to my understanding, is the emphasis on the awareness of the momentary flow of thoughts, there being neither the observer nor the observed, as separate phenomena. As is always the case life is multi-dimensional. There are many dimensions to the statement, “The observer is the observed.” But before we explore some of those dimensions let’s look into your comment. You say, “the witness is still another thought.” If there is a thought of the witness then you are correct. But the real witness is “seeing.” So if there is a thought of the witness then the real witness is the seeing of that thought. Now looking at your statement, “the awareness of the momentary flow of thoughts, there being neither observer nor the observed.” Here “the awareness” is the witness. The awareness is seeing. What he is describing above is that when we watch the momentary flow of thoughts, without interfering, without judging, without reacting, and I emphasize “when” because usually we are doing those things, then we see the thoughts begin to disperse. The energy that was propping up the movement of mind returns until one day we find that there is nothing to observe and yet there is awareness. Here the “observer is the observed.” Here is no-thought, this is no-mind. What has just been described is what is meant by another one of J.Krishnamurti’s statements, “seeing is transformation”. Seeing the whole mechanism of the mind one naturally comes out of mind and coming out of mind the mechanism comes to a halt.